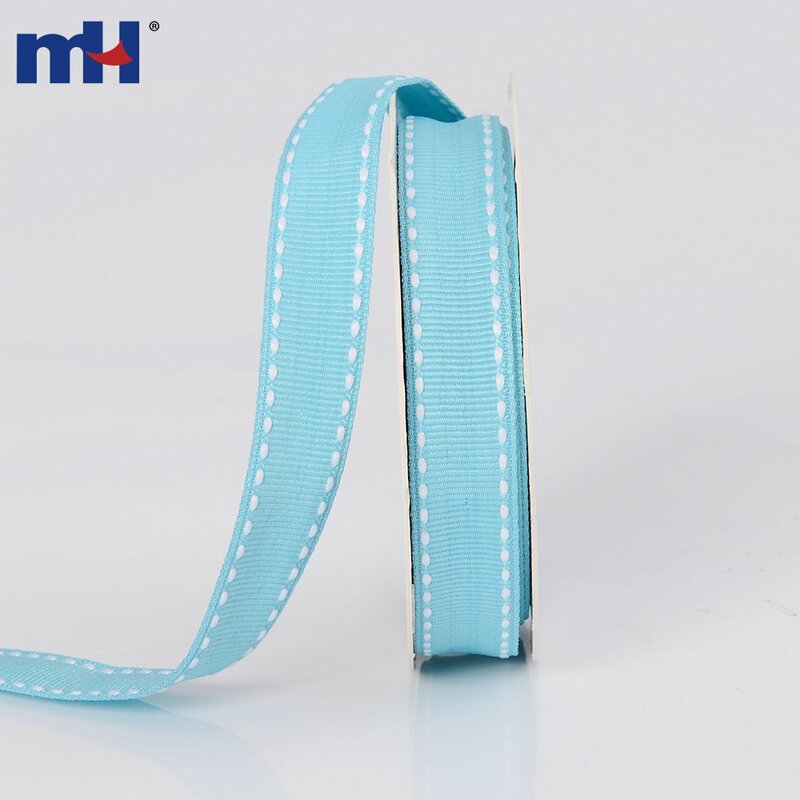 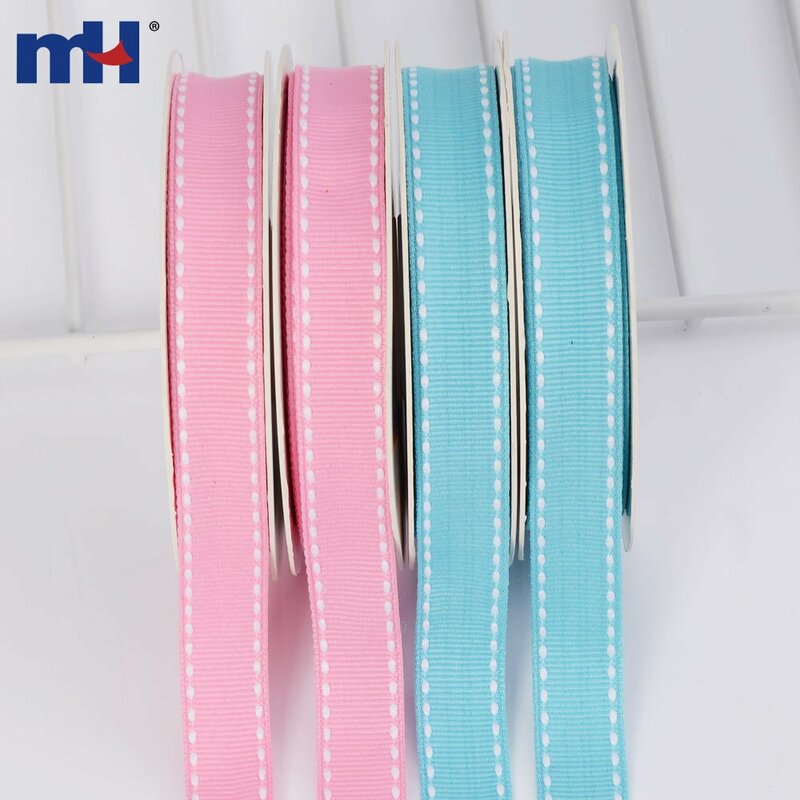 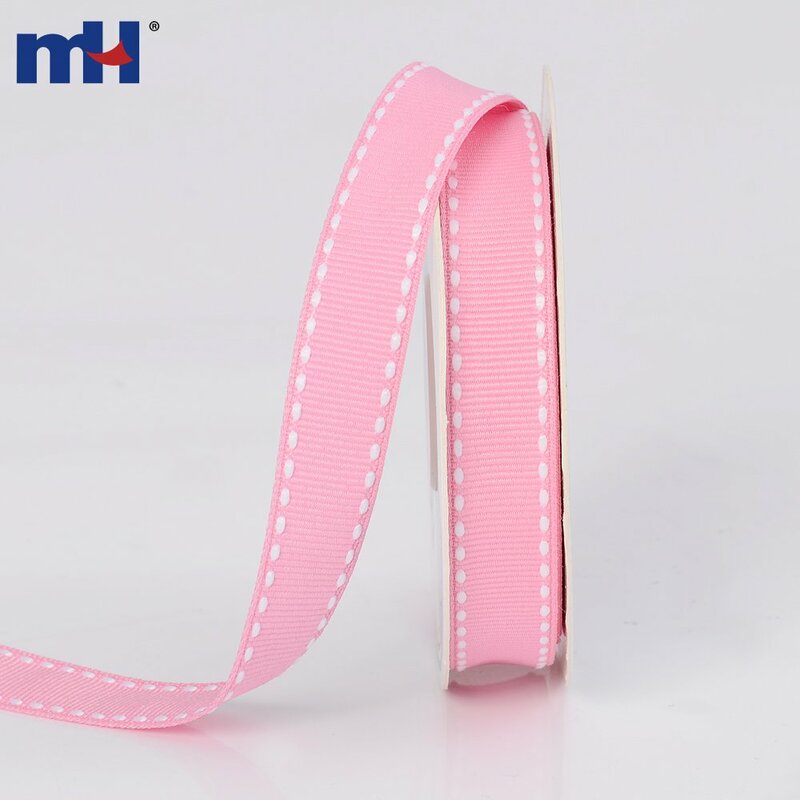 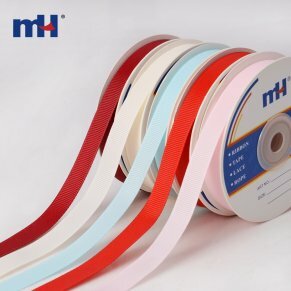 These solid colored ribbons have a decorative white saddle/side stitching that lines the edges. 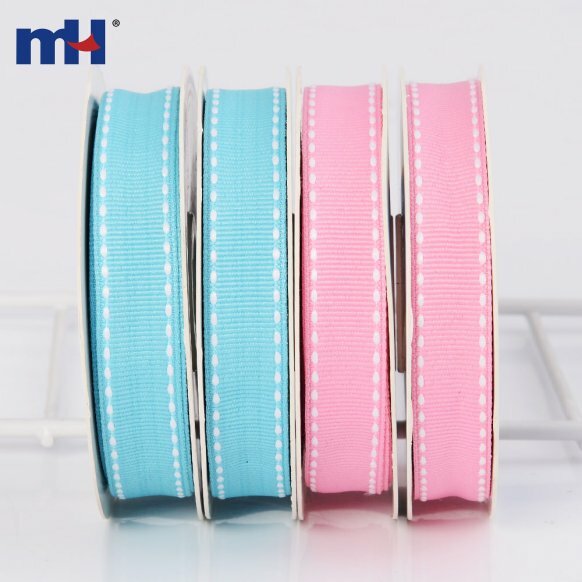 Use these ribbons to add a fun accent to your crafts, sewing projects or packaging. 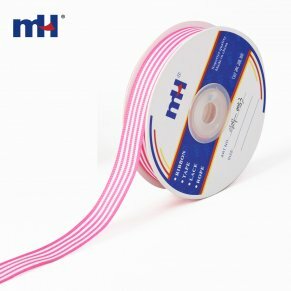 Ribbons are woven in a unique way to create a herringbone pattern. 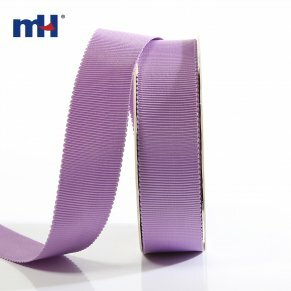 These stitched ribbons are soft to the touch making them easy to sew, glue or pin to fabrics and other surfaces. 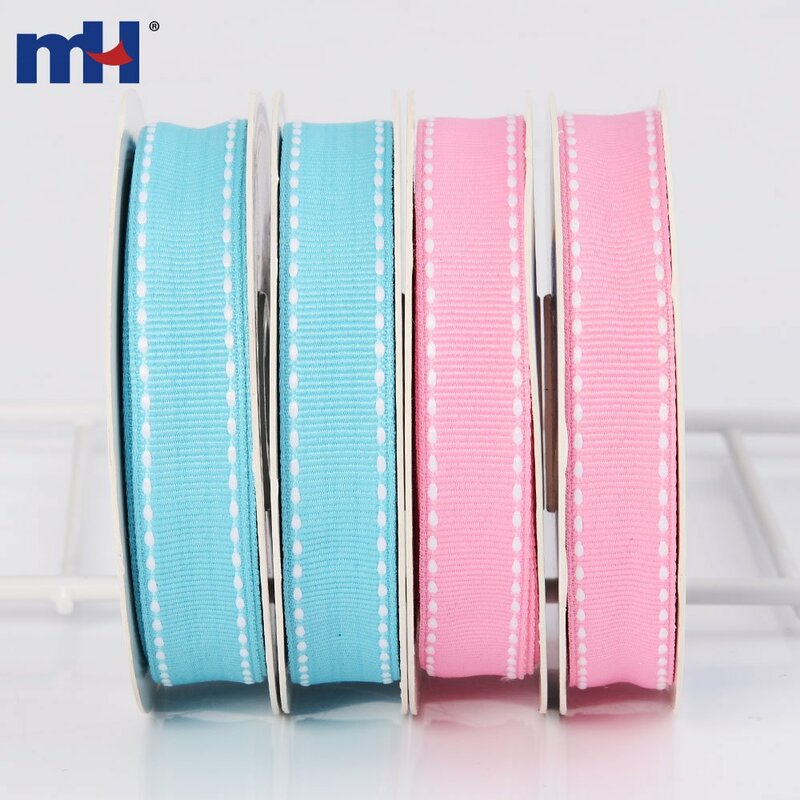 Application Sewing, quilting, hair bows, gift packing, party decoration, DIY, wedding decoration, etc.